To all my foodies out there, pay attention! 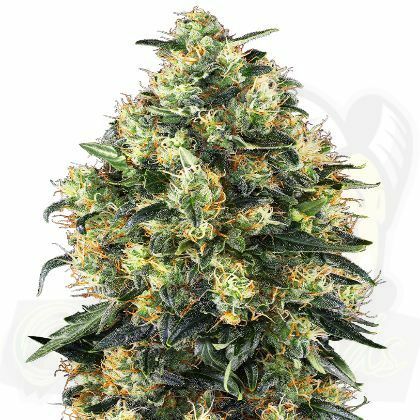 This powerful mix of flavors in this particular strain tickles the most pleasurable sensations including: spicy, sweet, fruity, wild berries, and pine. The perfect combo of Blackberry and purple Kush strains is to blame for this luscious miracle. You will also find traces of minor sativa to give this strain a unique kind of genetics. Stimulates all the major cerebral senses followed by a smooth period of relaxation. Many consumers recommend this to be used shortly before sleep because of its strong mellowing properties. It is known to induce sleep for even the lightest of sleepers! Medically speaking, this strain has been used on patients suffering from insomnia, anxiety, stress, or muscle pain. Being small in size, between 70-110cm (2.2 – 3.6ft), it still can pack a punch! It contains a short intermodal length, abundant with small branches present in the stem. The extra support during the budding process isn’t anything short of outstanding. The buds will gradually develop their resin to resemble a Christmas tree in the middle of December. As the embryonic strain goes through the normal stages of development, we are hit with notes of pure bliss, in the form of fresh fruity notes. Not to mention our research department described this variety as a “major producer of resin.” With the help of Pakistani genetics, our growers can’t stop coming back for more. The rarest qualities of this form of marijuana are its ability to produce lilac and emit vibrant red shades. Talk about a perfect gift for your date on Valentine’s day. Although it is suitable for both indoor and outdoor cultivation, indoor cultivation is recommended. To get the maximum benefits of your plant, provide at least 18 hours of light and 6 hours of darkness daily. With proper care, your super plants will be ready in 8 weeks. They can produce up to 600 g / m2 (1.3 pounds per light). Outdoors is ideal for warm climates that don’t experience much overall change in temperature.